Product as per described. Superb! I like how it fits perfectly on my phone and protects it well. However, it is NOT crystal clear at all. There are white dots on the plastic, and when I am outdoors, it is impossible to see anything on my screen. I would give it zero stars if I could. Or even negative stars. The case is not a case, but a very thin layer of PLASTIC (like plastic bags) that will do ABSOLUTELY NOTHING to protect your $999 phone even from dust! The front side of the case doesn't even fit properly on the phone, and the back comes off when you pick it up from say a table. You can build a better case than this with just plastic bags! I'm digging it,easy to put on. This is the worst case I've ever bought, ill fitting, makes typing a nightmare. Should've bought a glass screen protector and gel case instead, don't waste your money. It does the job but selling expensive compared to whst u can get on ebay. I ordered this one and one from ebay for £3 to be honest no difference what so ever. 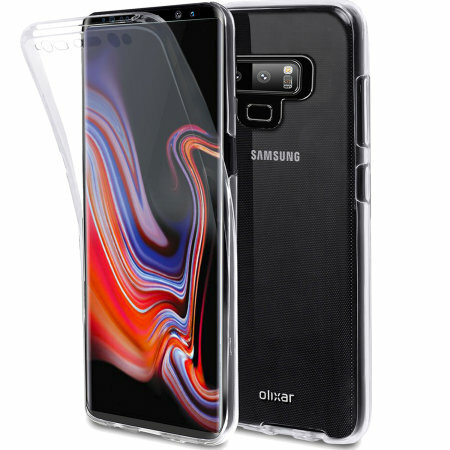 Olixar Flexi Cover is quite good cover for Samsung Galaxy Note 9, it provides protection and does its job. However, it still has few flaws. It is easy to leave fingerprints on the cover and I have to use my nails to reach the S-Pen. That put aside, wireless charging works well, and feel when the phone is used is good. It was a pleasant surprise to use this cover on direct sunlight and not to be a victim of my own reflection. Haven't received my Note 9 yet but have bought a flexicover in preparation because I had one for my Galaxy S8 and it has good touch sensitivity and a flush fit.